Ever since rumours of its eventual return surfaced two years ago, we Singaporeans have been waiting patiently and eagerly. Well, at long last, the wait is finally over. 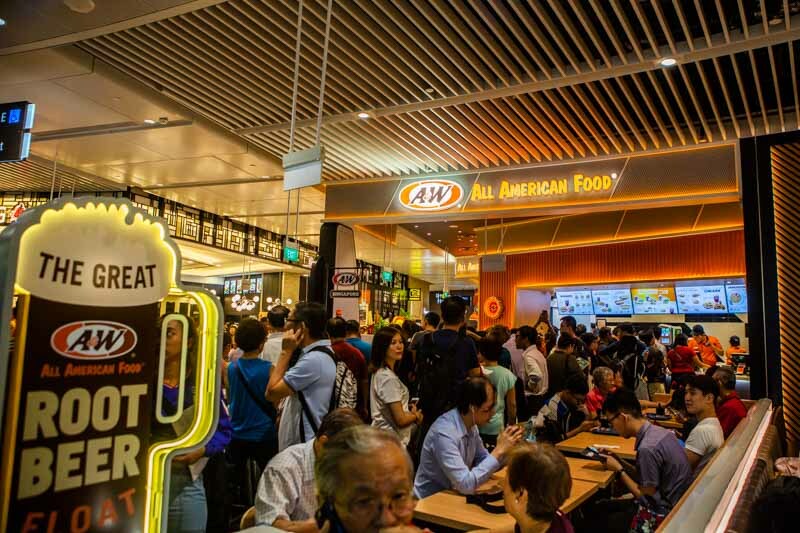 One of Singapore’s fondest, long-lost, yet unforgotten, fast-food chains in back. 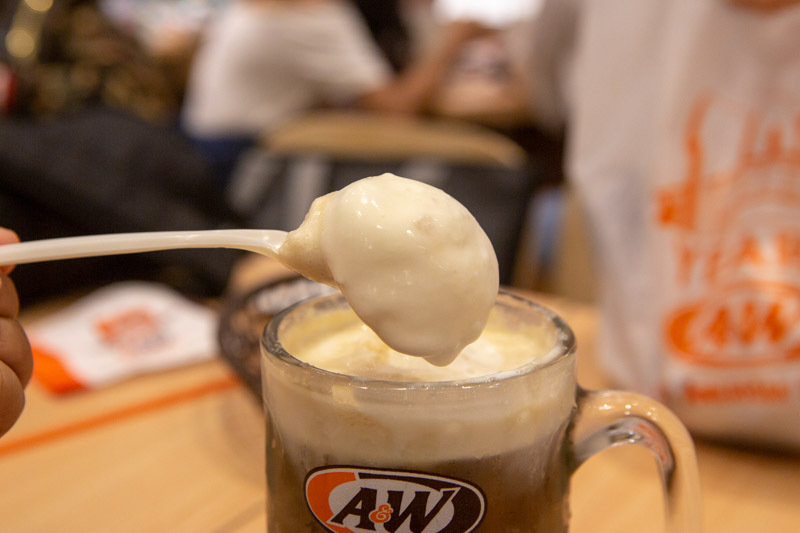 Of course, I’m talking about none other than A&W Restaurant. 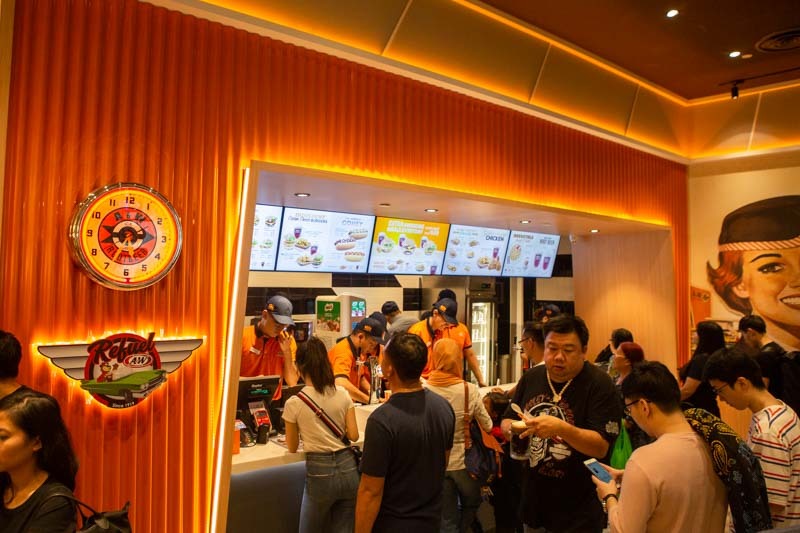 Located in the newly-opened 10-storey Jewel Changi Airport, they’ve finally returned after 16 long years. 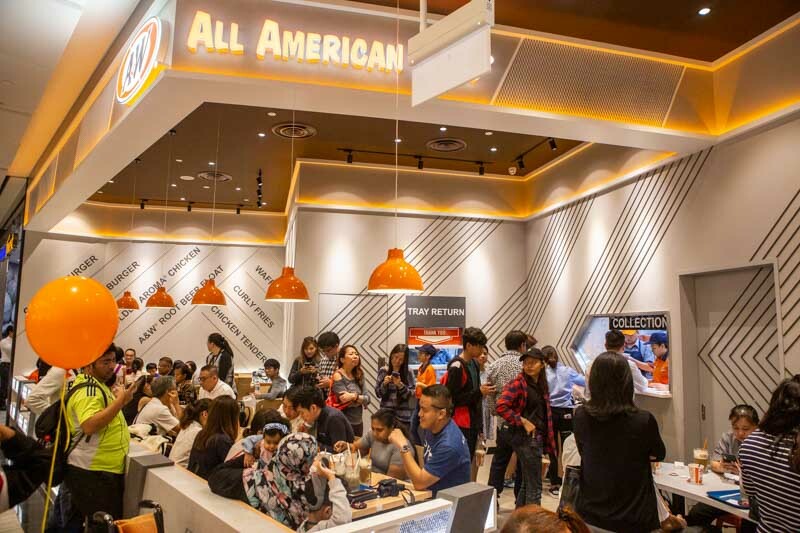 Being the flagship and currently the only outlet in Singapore, the restaurant can accommodate a whopping total of 80 diners. I found it especially fitting that the restaurant also has a rustic design. 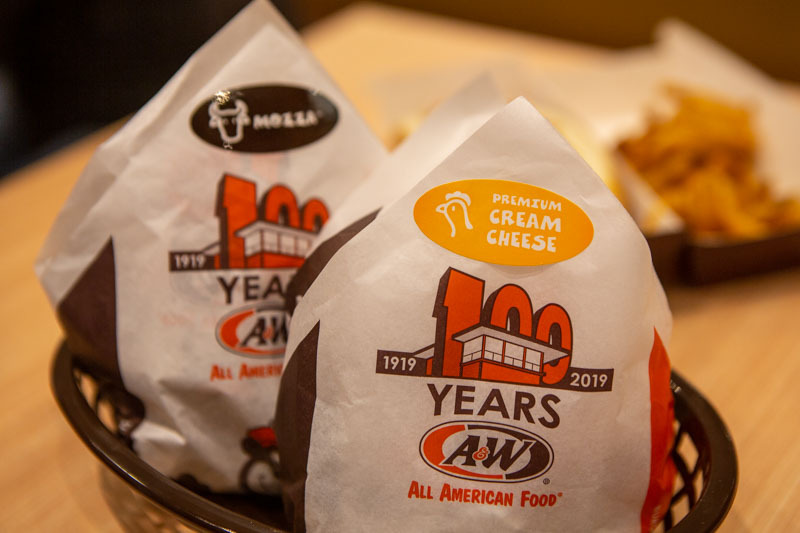 After all, A&W holds a special place in many of our memories. From the vintage neon signs to the retro posters, I could definitely feel the nostalgia in the air. 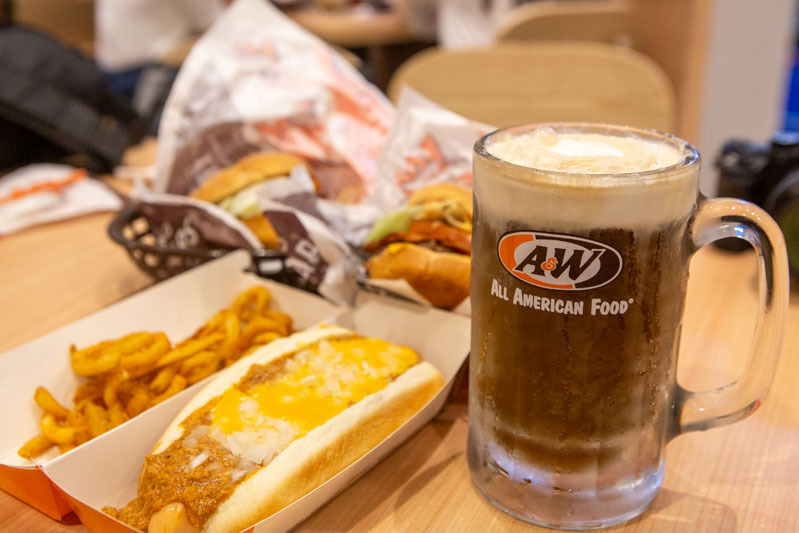 Coming back after so many years, A&W has returned with some of their classic items. However, I was actually more eager for the new additions which they’ve brought from overseas. 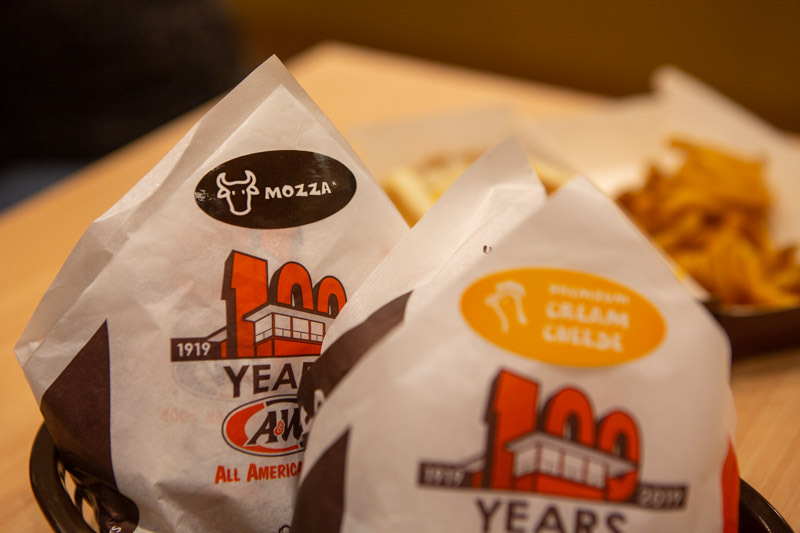 Branded as their most popular item, the Mozza Burger (S$10.40 with combo) immediately caught my eye. This giant burger is actually a Canada-exclusive, but they’ve managed to bring it to our shores. 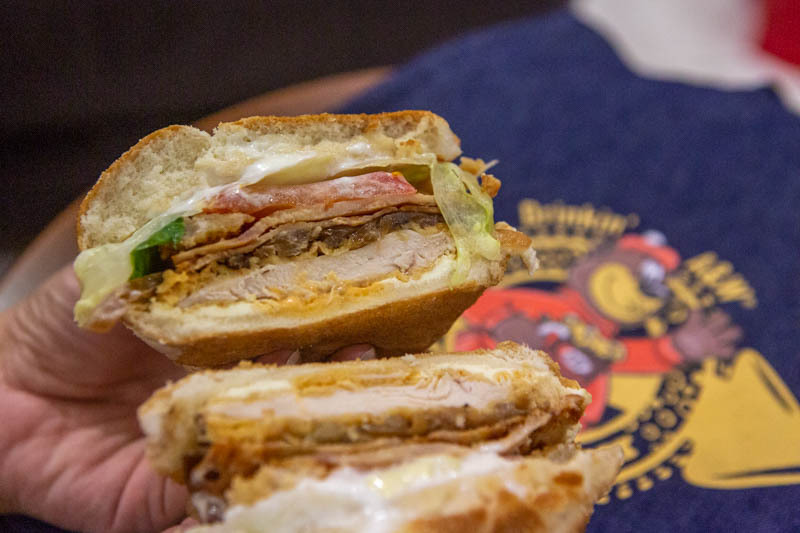 As its name suggests, they’ve actually used mozzarella cheese instead of the usual cheddar. Not only that, but they’ve also added a layer of their own Mozza Sauce. 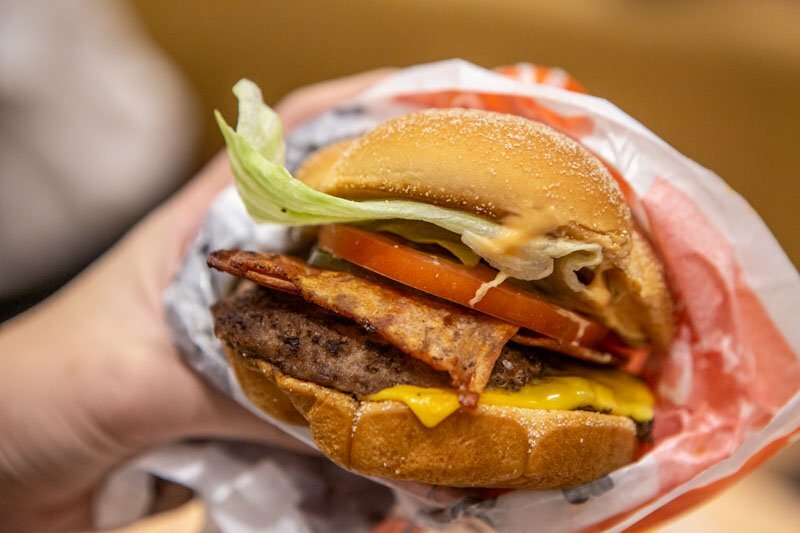 This tangy sauce held all the components in the burger together, making for an all-rounded bite. 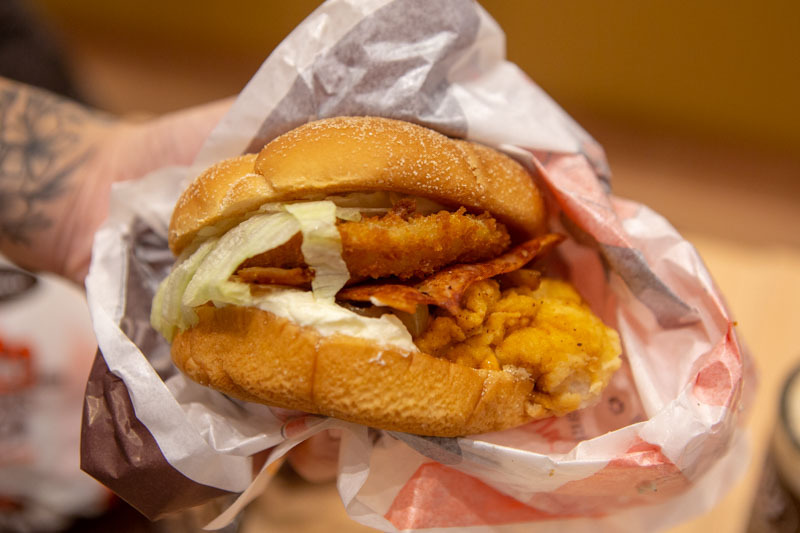 There were even slices of chicken crisps in the burger too. Though nothing to rave about, I appreciated how their crispiness added another dimension of texture to every bite. 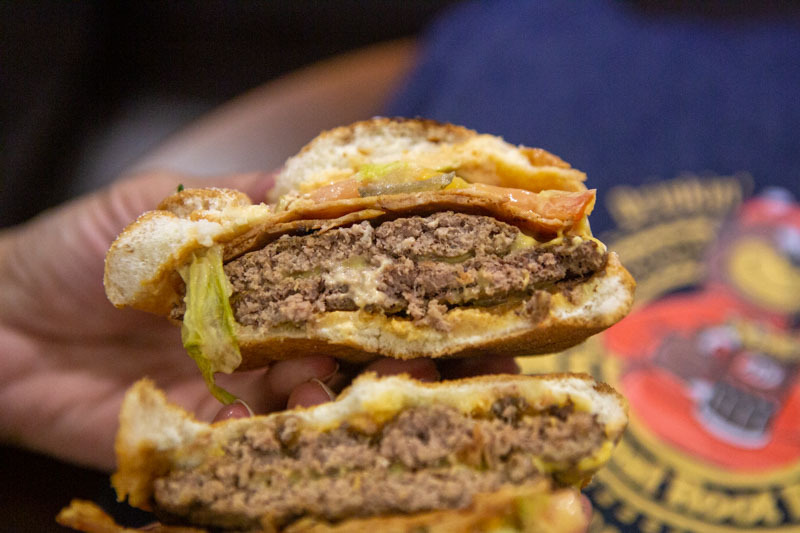 The main star of the burger was undeniably the beef patty. Thick and juicy, it had a strong meaty flavour that complemented the cheese very well. I particularly liked how it held its form and oozed with juice in every bite. Meanwhile, the other usual ingredients like tomatoes and lettuce served as a great counterbalance to all the meat. Their crunchiness and refreshing flavours pleasantly cut across the greasiness. 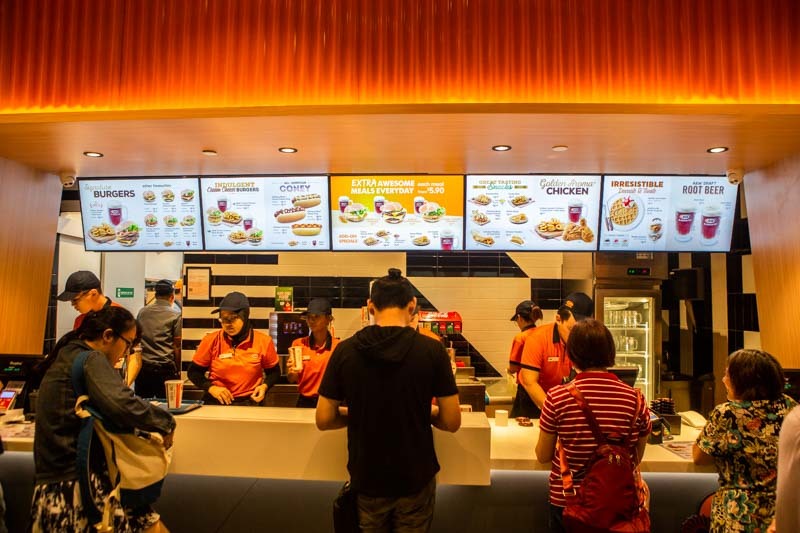 Every combo also comes with an option of either Normal Fries or Curly Fries (S$3.60 a la carte). Of course, knowing just how popular they are, I went for the Curly Fries. Unfortunately, the fries were lacklustre. They were a bit thinner than how I’d personally like them to be, so I didn’t find them very satisfying. 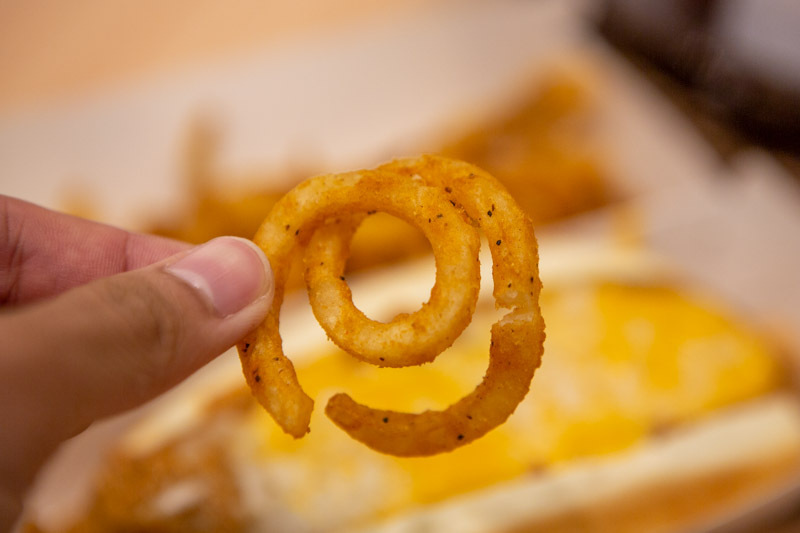 That said, however, the texture of the Curly Fries was right in the middle between crispy and soft. Though I generally prefer my fries soft, I found A&W’s fries strangely addictive. 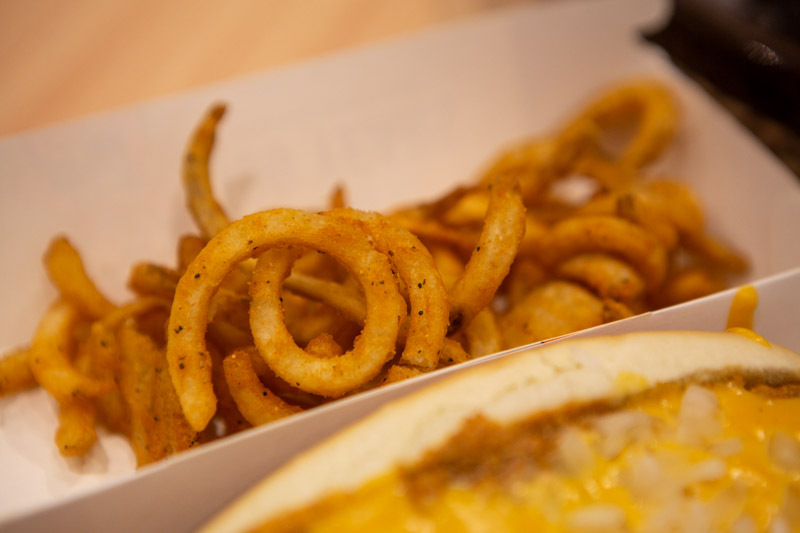 Forgive me, but when it comes to curly fries, McDonald’s still has my vote. 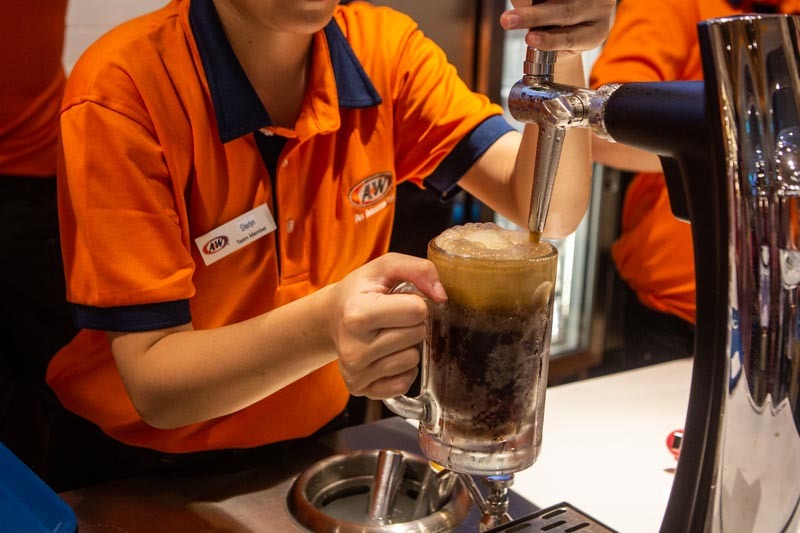 Despite the lacklustre fries, I remained optimistic about A&W’s signature Root Beer (S$2.90 a la carte). 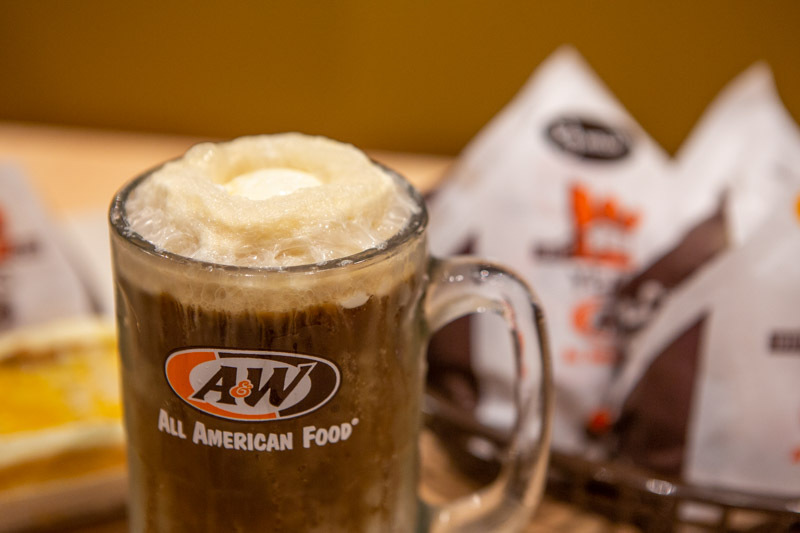 But if you love ice cream like me, why not upgrade it to a Root Beer Float (S$3.50 a la carte)? 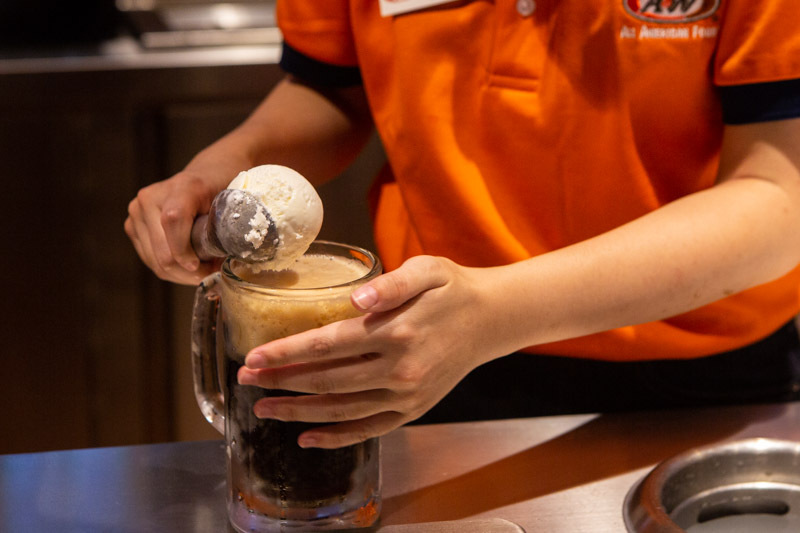 Simply top up S$0.60 per scoop and you can have vanilla ice cream in your Root Beer. The vanilla ice cream certainly made a difference, I’ll tell you that. Every sip was creamy and decadent, yet fizzy at the same time. If one scoop isn’t enough, don’t worry. You can add up to two scoops of ice cream! 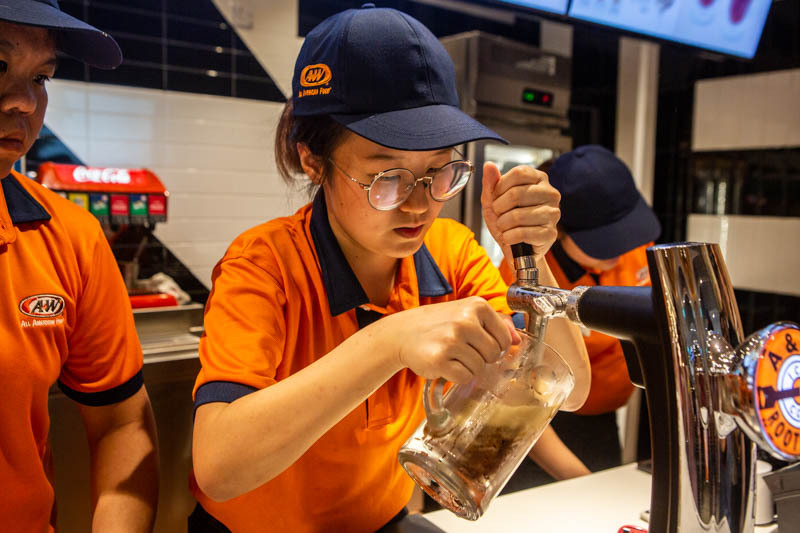 Furthermore, the lovely staff will serve you your drinks after you make your payment. As such, you can sip on your Root Beers from the giant ice-cold mugs while waiting for your food. 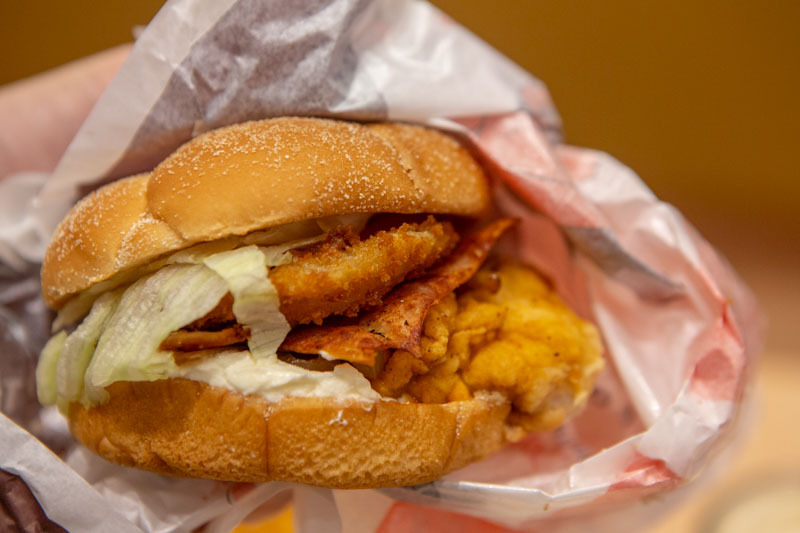 I also got the A&W Cream Cheese Chicken Burger (S$7.90 a la carte, S$10.90 with combo), which I heard much about. I thought the Mozza Burger was already gigantic enough, but this was monstrous. 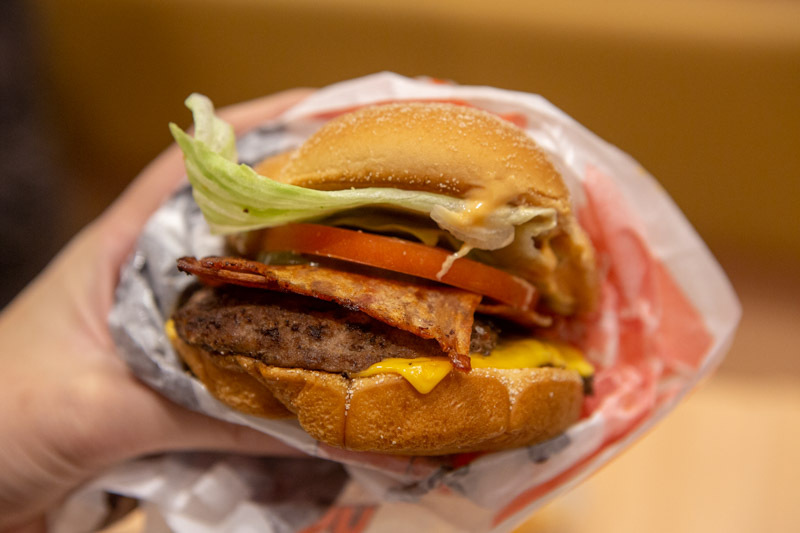 Originally from A&W Okinawa in Japan, this burger boasts a total of nine layers, and that’s excluding the buns. Right off the bat, the chicken patty was remarkably thick. It was certainly a sign of good things to come. The chicken was satisfyingly moist and tender. It had a very firm bite which contrasted well with its crispy batter. On its own, however, it lacked slightly in flavour. Thankfully, the extra layers of cheese made up for that. Together, the cheeses simply made for an indulgent mouthful. They made every bite particularly oozy and flavoursome, creating a beautiful mess when I bit into it, as a great burger should. 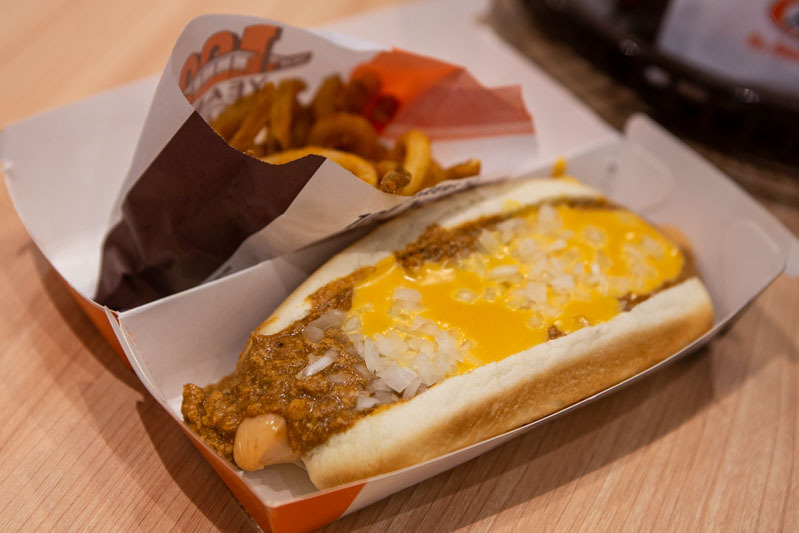 Last but not least, I also gave the highly-raved Chicken Coney Cheese Dog (S$5.70 a la carte, S$9.40 with combo) a try. 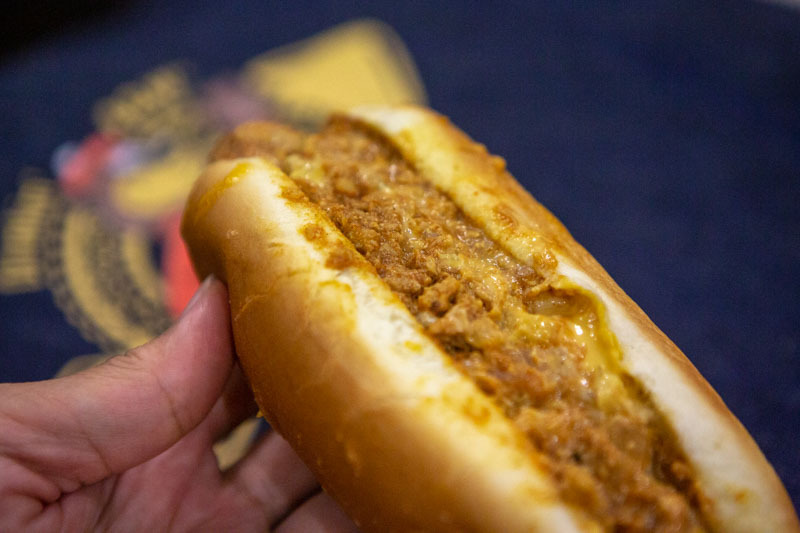 To my delight, this all-American classic came with a generous amount of cheese slathered all over it. Each bite was very sinful as a result. The tender and juicy chicken meat was decadent and had a hint of saltiness on its own. 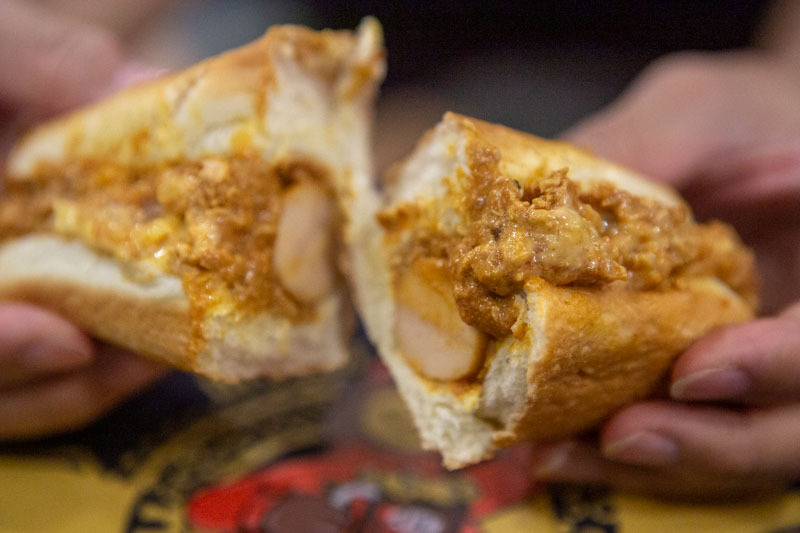 Together with the gooey cheese, they made for a powerful flavour combination. I guess that’s why the sausage only had mild flavours — so that they would complement one another. 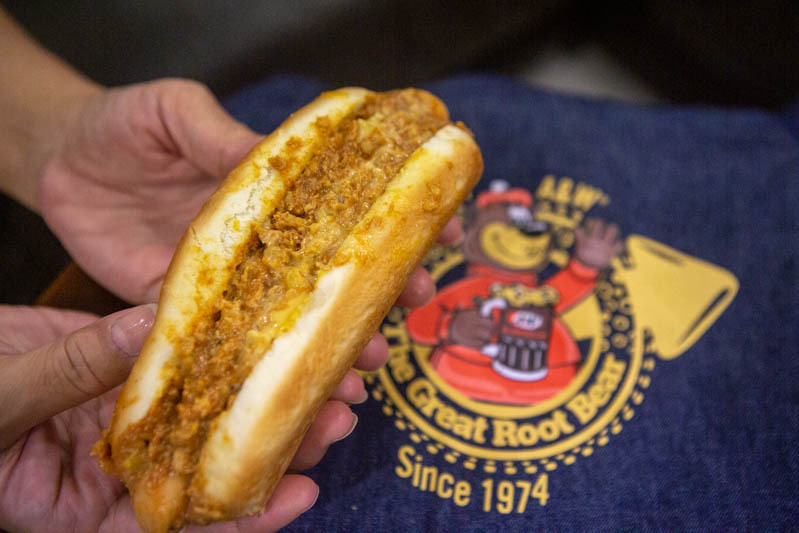 Not to mention, the bun was very pillowy too, and made every bite perfectly chewy. 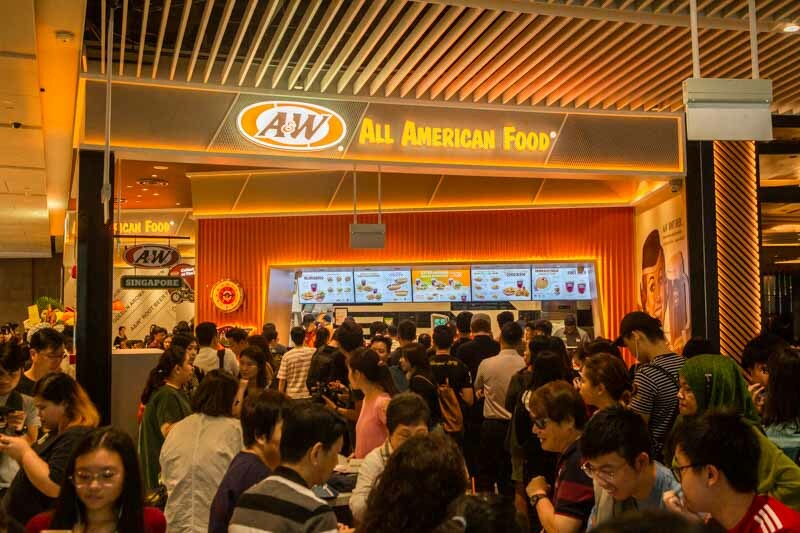 That said, living in the central area of Singapore, I probably won’t travel to the East just to eat at A&W. But if I were in the area, it’s something I would consider, though the queues are scarily long. Oh, did I mention that they’re open 24/7? So if you want to beat the crowds, the ungodly hours are probably your best bet for now.